When the BMW M2 came out, it was considered by many to be just a hyped up version of the already popular BMW M235i. To some degree, they’re right. After all, the two share the same engine, albeit with some small changes done to it for M2-duty and there’s a little over 40 HP in between them. But then again, the M2 did receive the full M treatment and there’s more between them than just some HP readings. The M2 also has a better suspension, better axle elastokinematics and a true M differential at the back, before even mentioning the 7-speed DCT gearbox. That’s not to take away anything from the brilliant 8-speed ZF unit but as good as it is, it can’t match the dual-clutch in terms of shift speed. Therefore, what would happen if the two were to race in a straight up drag race? Well, the numbers are pretty clear. 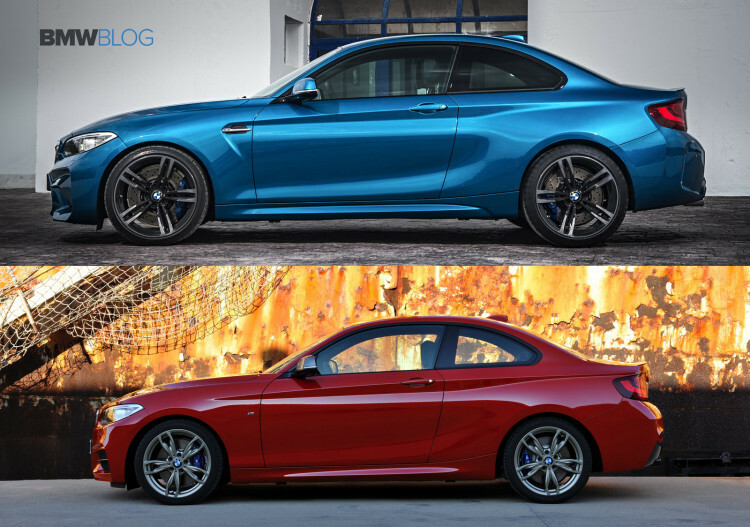 Comparing the rear-wheel drive M235i to the M2 shows that the M Performance model is slower to 100 km/h (62 mph) by 0.4 seconds at 4.8 seconds. It looks like the DCT-fitted M2 will win 9 times out of ten, if we’re going to exclude driver error. However, the video below seems to suggest otherwise. While the M2 is indeed faster up to about 100 km/h (62 mph), it’s not by a big margin. Furthermore, after that the M235i seems to catch up and even outpace the M model, peculiarly enough. What makes it even more surprising is the fact that the M2 should not only be able to keep up but it should also be quite faster due to its superior torque and horsepower. Now, if this looks disappointing from the BMW M2 perspective, imagine what would happen if the M2 would go up against the M240i that’s even faster these days. The 340 HP M Performance model can also be had with xDrive meaning it will do 62 mph from standstill in 4.4 seconds, just shy of what the M model claims.